"Bryan is a top-notch realtor. He was super quick showing the house after i signed the contract and within a few months the house was sold. He kept me informed at all times and help me get the best deal on the house. If you want someone knowledgeable, experienced and quick, Bryan is the guy." "I was a first time home buyer and Bryan was extremely helpful and patient with me. He worked around my schedule to show me houses. We even had a seller back out last minute and Bryan had homes lined up to show me the next morning. I found a great starter home and couldn't have done it without him." "Bryan did a great job for us spent a lot of time explained the process very well .We would highly recommend him for selling or buying a home.Bryan had good knowledge of the area and awesome negotiation skills." "Bryan was so amazing and helpful. I was looking for a house and had a short period of time to do so and he made the process so easy and smooth. He was so knowledgable on the area (I was new to town) and helped point out go-to areas/stores while we were traveling to different houses. I definitely recommend him!" "Bryan is fabulous! I was dreading moving across the country, but Bryan made the homebuying part so easy for us. He was more than happy to show us houses outside of his normal area and helped answer a lot of questions we had about buying a house that included conservation land. We knew nothing about how the USDA worked. Bryan is very honest and is just a really great person. We've bought and sold a few houses now and Bryan is the best agent we've ever used. We will absolutely use him again when we are ready to expand our farm." "Bryan was the best realtor that I have ever talked to. We have worked for him for around a little over a year and even though we had 2 other houses fall through he stuck with us. We looked at around 40 different houses within a radius of 50 miles and he even took us up to the city on a Saturday. Bryan was with us every step and when I had a question all I had to do was send him an email and within about 30 minutes depending on the time of day I would get a detailed response. Great guy and great friend. Will definitely keep in contact with house projects and advice." "We loved Bryan! He did an amazing job with the whole process. We ended up buying a house that we loved. When we finally decide to move back home we will use Bryan to help us sell our home. He is great at what he does and we would refer him to anyone!" "Bryan helped us so much with our transfer from Japan to Warrensburg MO. He was sending us potential houses prior to us arriving so we were able to have our list narrowed down even before we arrived. He listened to our wants found us a wonderful home for my family. So thankful Bryan was there too help us through this." "This was the first time for my wife and I to buy a house and I feel Bryan helped to make it a very smooth processe. He was very honest with us and showed us every house we wanted to see plus he few he thought we might like. Bryan was also very flexible with his schedule to meet our needs." "Very open minded and did not pressure us in any way. He let us check out the homes without that pestering over the shoulder act like we have experienced in the past. If you want low pressure high out come Realitor then Bryan is the man!" "my husband and I are a military family who just moved to MO from Japan, before we even arrived in the area I was constantly e-mailing him different listings to find out more information about them and he went above and beyond to find out every detail he could for me so that by the time we actually arrived we had our list narrowed down to only a few. When we found our home he got us moved in as fast as he could. I would definitely recommend Bryan to anyone looking for a home in the area." 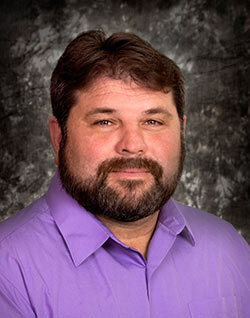 "Bryan was very helpful in the purchase of the home. He let in contractors, inspectors and even the utility companies for us because we live over 90 miles away and could not always be up there to let them in. Bryan went above and beyond to make this transaction go smoothly."